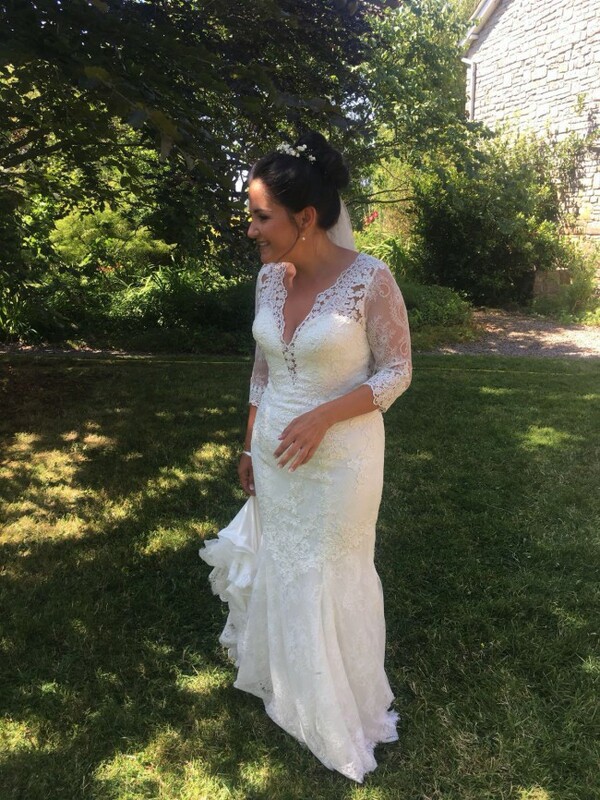 I'm selling my beautiful wedding dress which I wore at our wedding last year (2018). Ivory lace with a button up back and attached underdress. Veil included (which was £80 on its own). Bought and tailored at White Leaf Boutique in Brighton. I am 5'2" tall and size 10-12. Included are some photos of me on our big day. The dress cost £1600 new and has only been worn once. We've had it professionally dry cleaned and it comes in a wedding dress cover. This is a beautiful dress in fantastic condition. I hope it can make you as happy and make you feel as special as I did. Dress was originally sleeveless but White Leaf Boutique added sleeves at my request. Work was done by a professional seamstress.